The Loro Piana Caribbean Superyacht Regatta and Rendezvous Notice of Race has been published online and registration for the 2016 event is now open. The Loro Piana Caribbean Superyacht Regatta and Rendezvous takes place at the Yacht Club Costa Smeralda (YCCS), Virgin Gorda, BVI between 9 - 12 March 2016. The Notice of Race is available to download, which includes the entry form that can be sent in to Boat International Media to secure a place in the regatta. Organised by Boat International Media and the YCCS, this four day event welcomes sailing and motor superyachts with a LOA of over 80 feet. Regatta participants will experience racing under the International Superyacht Rule rating system, organised by the international race committee at the YCCS. 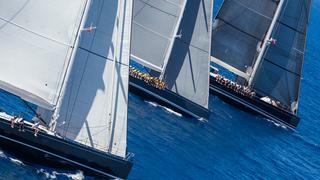 Motor yacht owners are invited to follow the racing and enjoy the spectacle of the sailing fleet. A daytime program encouraging owners and guests to use their yachts and toys to the maximum for on-the-water entertainment includes a wide range of activities. Costa Smeralda, a popular superyacht charting destination, provides the perfect setting for on-the-water action accompanied by a post-race programme of social events. Superyacht owners are invited to enjoy the Welcome Cocktail on the prestigious YCCS Lawn, an exclusive Owners’ Dinner in the YCCS Clubhouse hosted by Loro Piana, a fabulous beach party, a fun-filled crew party and the opportunity to visit to some of the nearby island’s most charming scenic spots and attractions. Please click here to register interest.